AMS Acquisitions, a New York City-based real estate investment firm, has purchased a 50,000 s/f Yonkers lot where it plans to building 361 apartments. The company announced its $18.3 million purchase of 55 Buena Vista Avenue — once the site of the city’s Teutonia Music Hall — and confirmed a plan to turn into a 24-story luxury rental building with Hudson River views. The comes the same week that AMS announced it will purchase Chicken Island from the City of Yonkers for $16 million. 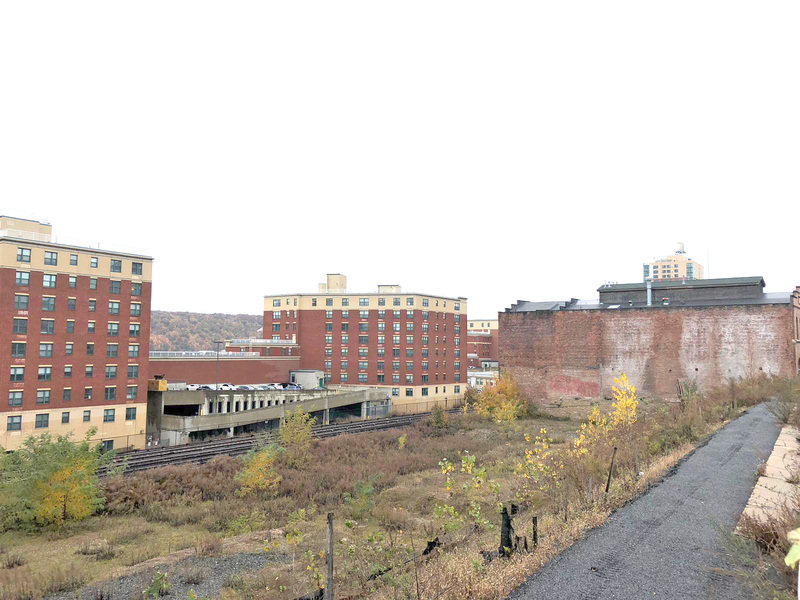 AMS principals said they plan to turn that six-acre undeveloped property into a downtown with a shopping, dining, apartment buildings, offices and a luxury hotel. The 55 Buena Vista site is located behind two other buildings the firm owns at 92 Main Street and 86 Main Street. Cushman & Wakefield has been retained to sell The NewCo Portfolio: four vacant, new construction apartment buildings in the Longwood, Woodstock and Williamsbridge neighborhoods of The Bronx. 770 East 214th Street is a 10-unit building in the Williamsbridge neighborhood of the North Bronx. In total, the portfolio consists of 89 residential units and approximately 73,185 gross square feet. The asking price is $25.75 million. Properties may be purchased either as a package or on an individual basis. A team of Jonathan Squires, Robert M. Shapiro, Jordan Sutton, Michael Fioravanti, Josh Neustadter and Addison Berniker will represent the sellers in all marketing efforts. “The NewCo Portfolio is an incredibly rare opportunity to acquire 89 newly constructed vacant apartments in the Bronx.” said Squires. 764 East 152nd Street is the southernmost property, located in the Woodstock neighborhood. The 24-unit, 18,751 s/f elevator building is within walking distance of The Hub retail, theater and restaurant district. 915 Dawson Street and 1081 Tiffany Street are in Longwood and 25,602 and 21,334 s/f respectively. The 10-unit 770 East 214th Street is in the Williamsbridge neighborhood of the North Bronx. GFI Realty Services has been named exclusive sales agent for 1432, 1436, and 1440 Pacific Street, a portfolio of three contiguous multifamily properties in Crown Heights, Brooklyn. GFI Realty senior director Shlomo Antebi will be marketing the 28-unit portfolio, with pricing targeted at $15 million. The portfolio includes 100 feet on frontage on Pacific Street in Crown Heights. Constructed in 1906, the buildings total 26,300 s/f, and will be delivered with 26 of the 28 units vacant. The majority of the apartments are in need of significant renovations. “With Crown Height establishing itself as one of the borough’s most dynamic neighborhoods, the long-term owner decided to sell the three buildings to a developer who could reinvigorate the properties,” said Antebi. Located between Kingston and Brooklyn Avenues in the heart of Crown Heights, the portfolio is three blocks from the Brooklyn Children’s Museum, and three blocks from the Fulton Street commercial corridor. The A and C trains provide express and local subway service, providing access to Lower Manhattan in approximately 30 minutes. Holliday Fenoglio Fowler (HFF) announced the $43 million sale of The Fairview, a 12-story, Class A apartment property in Fairview, Bergen County, New Jersey. The HFF team marketed the property on behalf of seller, Roizman Development Inc. J.P. Management purchased the property free and clear of existing debt. The Fairview at 371 Bergen Boulevard within the Bergen County. The Fairview is located at 371 Bergen Boulevard within the Bergen County Hudson Waterfront submarket, which provides commuters accessibility into Manhattan via a variety of transportation options. It consists of a mix of 146 market-rate one-, two- and three-bedroom units averaging 991 s/f. After a full renovation and repositioning in 2017, residences are equipped with in-unit washers and dryers, stainless steel appliances, quartzite countertops, hardwood flooring and balconies in select units. The property also offers a swimming pool, fitness center, covered parking, controlled access and views of the New York City skyline. The HFF investment advisory team representing the seller included Jose Cruz, Stephen Simonelli, Kevin O’Hearn, Michael Oliver, Jordan Avanzato and Ryan Robertson. “The property’s location in the heart of Fairview in Bergen County helped to drive investor interest while the recent renovation and upside in rents pushed pricing,” Cruz stated. BRT Apartments Corp. announced the sale of Factory at Garco Park, located in North Charleston, South Carolina, in which the Company held a 65 percent joint venture equity interest. Factory at Garco Park is located in North Charleston, South Carolina. The 271-unit property was sold for $51.7 million, a gain of approximately $12 million. BRT’s share of the gain will be approximately $5.7 million. The Company anticipates recycling a portion of sales proceeds into a new acquisition in the coming months. Jeffrey A. Gould, president and CEO commented, “We were pleased to generate an IRR of 20 percent over three years on our interest in Factory at Garco Park. We entered into this venture as a ground up development and believe that we have maximized value at this time. Accordingly, we will be recycling a portion of this capital into value-add acquisitions where we believe we can generate an attractive return while benefitting from current cash flow.